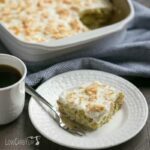 I typically reserve low carb cakes for special occasions. Traffic to this site has been phenomenal this month. So, I decided to celebrate and treat myself to cake! When I returned to this blog in October 2014, I was determined to make this website the absolute best it could be. Since then, I have spent many hours sharpening my photography skills as well as learning new blogging tricks. If I had the time, I would write everything down in a book to share. There are so many things that are needed to succeed in blogging. Sometimes, you get a lucky break, but usually, success comes from tons of hard work. I readily admit that I’m somewhat of a workaholic. I have probably spend way too many hours on this blog. However, it has all been worth it as I have seen such a huge improvement over the last year. The biggest reward is when others tell me how much the site has helped them with their low carb of eating. It’s also great when readers write in and let me know how much they enjoyed a recipe. It’s these little things that keep me going! I’ve reached a point where I have gotten a little smarter on time management. Therefore, I now spend my precious time on areas that count. I’ve also realized that I can’t do it all, no matter how hard I try. To be honest, I’ve always been somewhat of a computer geek. Although I love figuring out how to do all the technical aspects of blogging by myself, I just don’t have the time for it any more. I also don’t have a lot of time to do the tedious tasks like promoting on social media. I do what I can, and try to automate as much as possible, but there comes a time when you just have to hire help. I’ve offered to pay my older kids to do some of the work. But, they don’t have a lot of interest in helping. My son does do some paid writing for my other blog. However, it’s just so he can bring in enough income to eat while at college. That’s why I’ve started hiring out many of the tedious tasks so I can focus on the low carb recipes. 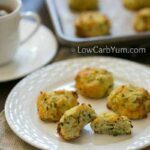 Although low carb sweets typically aren’t an issue, I believe they should be eaten in moderation. In 2016, I’d like to focus more on savory recipes with some sweets sprinkled in. 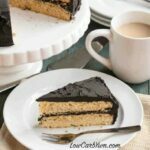 Recipes like this low carb yellow cake with dark chocolate frosting should be reserved for a special occasion where it can be shared. 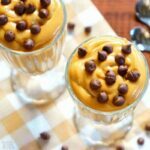 I don’t recommend eating sweet foods too often as even those without sugar can cause issues. I’m not much of a frosting person anymore. And, I would have preferred much less frosting per serving. But, since this is a rare treat, I loaded the frosting on like any regular double layer cake. I’ll admit that the frosting adds a ton of erythritol. 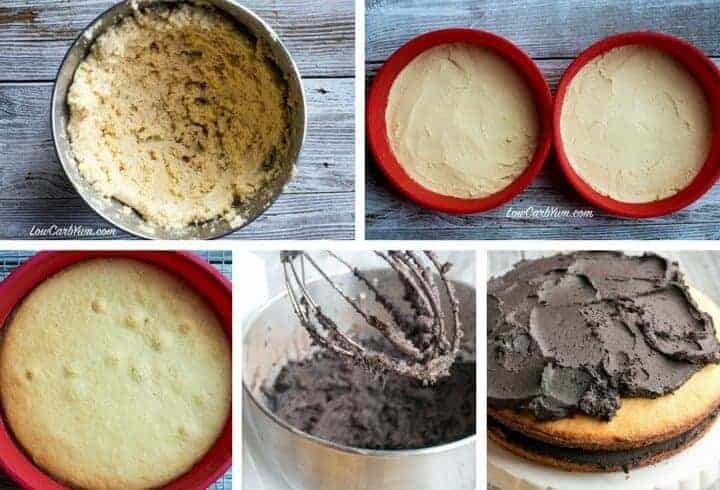 If I make this cake again, I’ll do it as cupcakes or leave the cake in the baking pan and add only a small amount on the top. 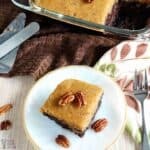 I’m just not that into overly sweet desserts since I’ve been following low carb for so long. A better frosting would have been much lighter and airy like a whipped chocolate mousse. 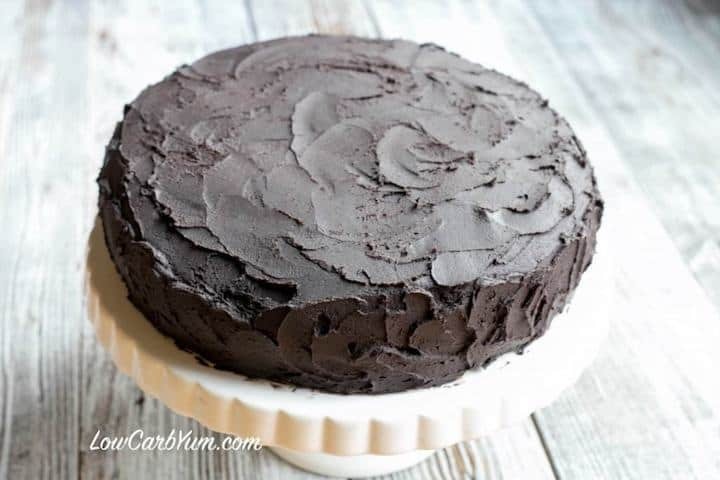 I’m going to have to work on a lighter low carb dark chocolate frosting as this frosting was really rich. 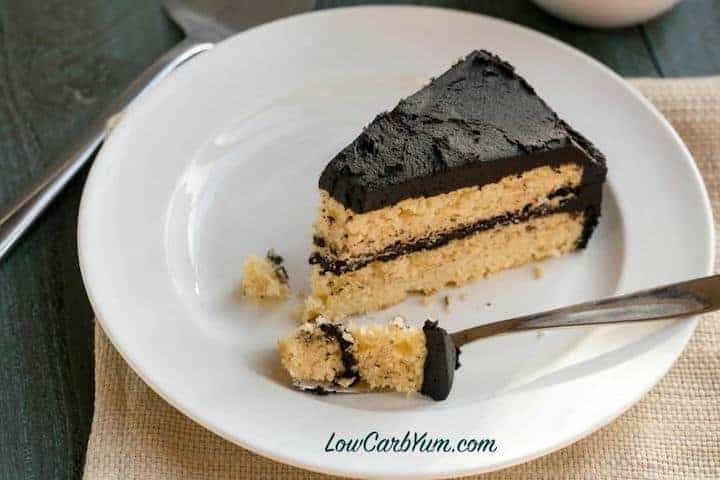 The low carb yellow cake itself isn’t very sweet. 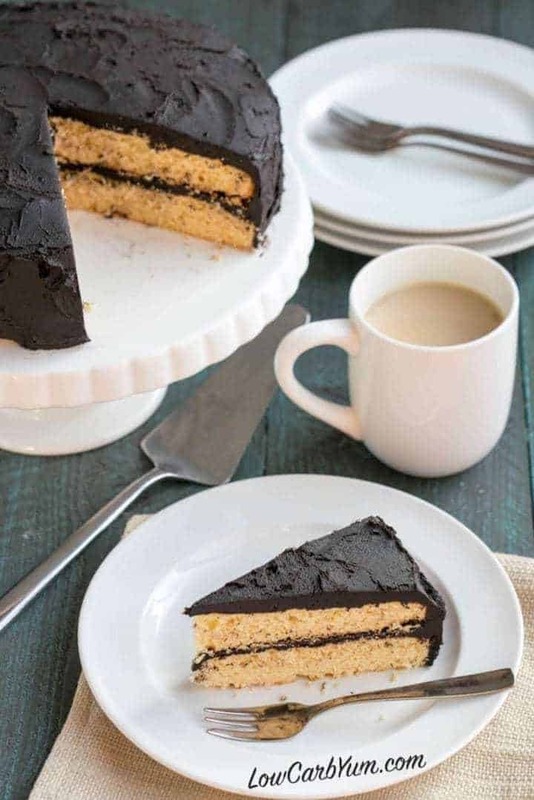 For inspiration, I used this recipe from The Cake Bible. However, I changed the recipe to use whole eggs rather than just the yolks. The addition of whey protein gives it a light texture. 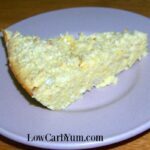 It isn’t as springy as a regular yellow cake because that’s really difficult to achieve using low carb flours. 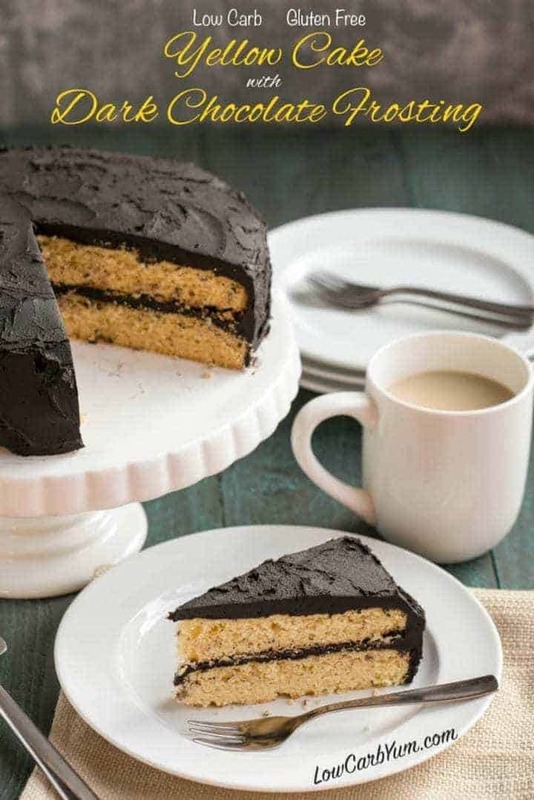 You could use regular cocoa for the icing, but I prefer the bittersweet taste of a dark chocolate frosting. It’s a very fudgy frosting that’s loaded with butter. 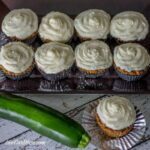 Buttercream frosting is the best! 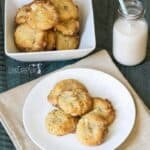 I used to always add xanthan gum to low carb baked goods. But, I’ve found it doesn’t really make a big difference when I leave it out. 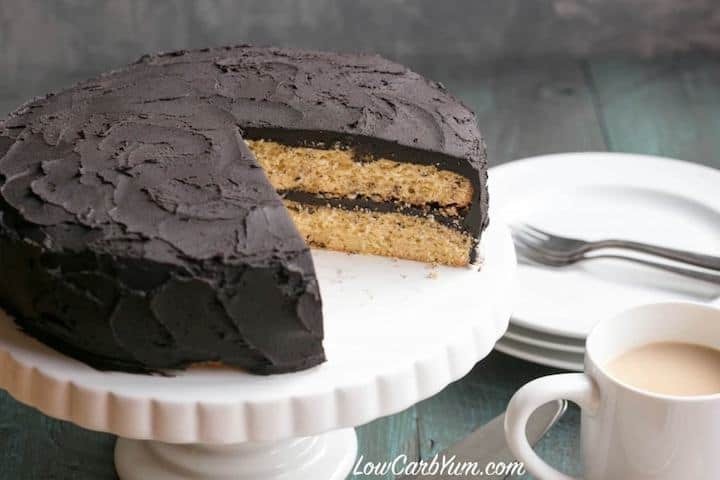 This low carb yellow cake held together well without the gum. I found the texture to be very similar to bakery style cakes. Speaking of bakeries, it would be awesome if someone started a low carb bakery. Do you know of any? The bakeries in our area seem to do great business and I always wondered what the market would be like for one that catered to diabetics and low carbers. There certainly is a market for it. 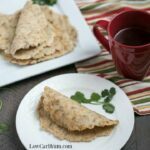 With all the great resources and alternatives ingredients available, I haven’t found the low carb way of eating to be restricting at all. 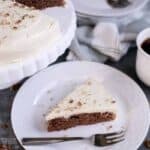 On low carb, you really can have your cake and eat it too. 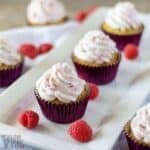 Do you miss cake after moving to a low carb lifestyle? You can have your cake! 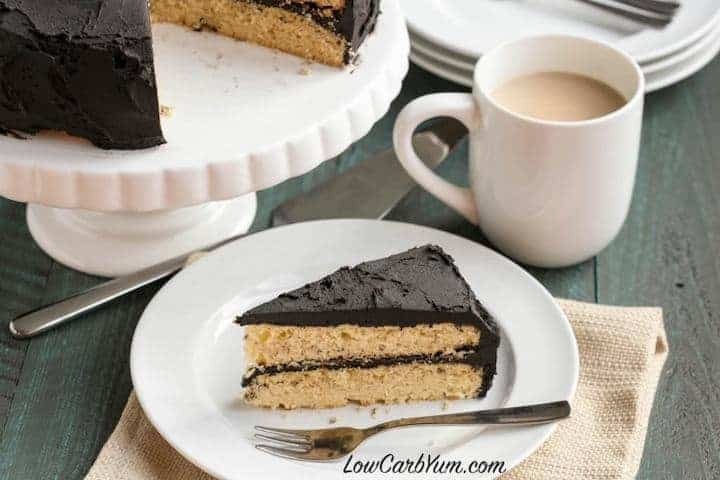 Try this yummy low carb yellow cake with frosted with dark chocolate icing. In large mixing bowl, blend together the almond flour, coconut flour, whey protein, sweetener, and baking powder. Add butter and about half the egg mixture. Mix on low speed until the dry ingredients are moistened. Increase mixer to medium speed and beat for about 2 minutes. Scrape sides of bowl and add remaining egg mixture. Beat for another minute. Spread batter into two greased 9-inch round cake pans (I used ungreased silicone pans). Bake at 350°F for 20-25 minutes or until toothpick inserted near center comes out clean. Mix in half the heavy cream. Slowly add the cocoa until blended in. Add powdered sweetener in batches, beating well after each addition. Whip in remaining heavy cream and stevia liquid. Add additional cream if needed. Frost cake as desired. Makes enough frosting for a 9-inch double layer cake.